When the budget is really tight I like to buy meat free mince. It is over £1.50 cheaper than minced beef and between you and me my family haven't noticed when I have used this instead of meat! So far I have used it for spaghetti bolognese and in a cottage pie. 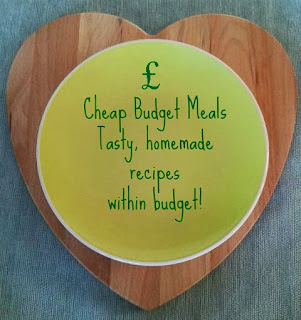 Not only is it cheaper to buy but it is also quick and easy to cook. So it is great for days when nothing has been taken out of the freezer as it can be cooked from frozen. 1 - Boil the potato slices and simmer until soft. 2 - Fry the onions and meat free mince on a medium heat for 10 minutes, stirring regularly. 3 - Boil some water and make up 1 pint of beef stock. 4 - Pour over the meat free mince and add the carrots, peas and mixed herbs, simmer until the carrots have softened. 5 - Sprinkle in a some gravy granules to thicken the sauce and transfer to an oven proof dish. 6 - Spoon on the potato slices and sprinkle over the cheese. 7 - Place under a medium grill until the cheese has melted and is beginning to brown. Then serve. This meal will fool any meat eater! With the added beef stock we could not tell the difference and saved some valuable money! If you are vegetarian or want to go totally meat free you can change the beef stock for vegetable stock and the same with the gravy! This meal can be made this meal for just £7.15. We managed to get 5 meals on the day and there was enough for 2 further meals from the leftovers! That's just £1.02 per serving (7 servings).You will also have meat free mince, potatoes, cheese and half a broccoli for another day! Disclosure: I was sent some packets of Pilgrims Mature Cheddar Crumbles for the purpose of this post. No payment was received. All views and opinions are my own and 100% honest.